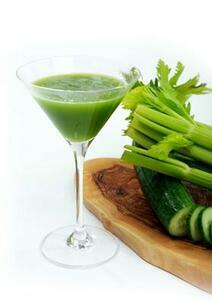 Green food have mainly detoxication effect on our organism. This means that it contains substances which drain the pollutants out of our body and at the same time sufficiently hydrate the body and support metabolism. 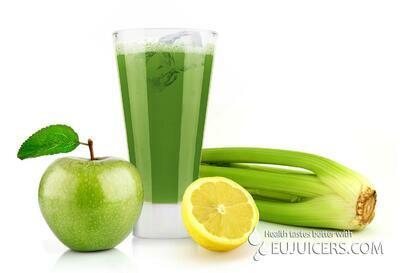 What are other reasons why to drink green juices? Is it too less? Then you have to add up more energy you get, healthy digestion, strong heart, bright brain, nice skin and beautiful hair and we could continue further. Even if you drink your glass of juice very fast don’t do it with self-denial. In case you don’t have fun the expected effects may not come. Find your own tasty recipe! Choose couple of ingredients from the first above mentioned group and try to flavor it every time with something else. Please do not limit yourselves just with our recipes and set your taste free! Buy on the market place or in your grocery’s whatever you like the most. Since the season is comming soon you try so called “celery quack” which tastes great and fresh even with such a name. Green barley is basically very “young” piece of this plant which you can grow on your own on the balcony. Just pot the seeds, leave it on the sunny place and water it and you can harvest and juice the barley just in 10 days. Juice from the “young” barley enhances immunity system and helps in the fight against lifestyle diseases. Moreover it lowers the level of sugar and cholesterol in your blood. It also helps with digestion disorders, migraine and insomnia. Explore, combine, taste and don’t forget to have fun of drinking green juices!